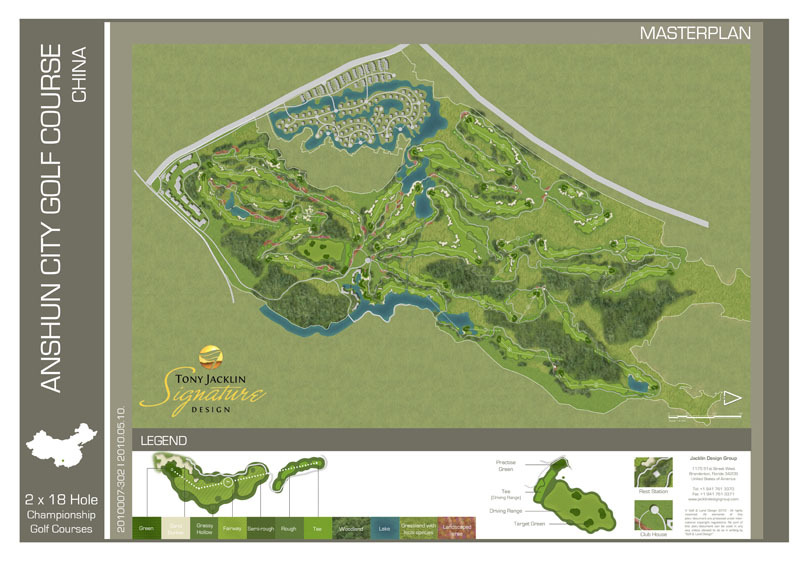 Anshun City Golf Course is a two times 18 hole golf project which we are doing together with the Tony Jacklin Design Group. The area is surrounded by a beautiful subtropical nature in a very steeply rising terrain. It is a great challenge for us to work with this site and to adapt our design to the existing terrain.